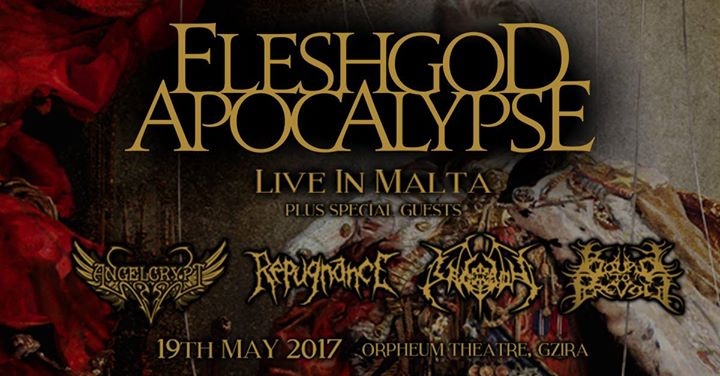 Fleshgod Apocalypse - Live in Malta! The mighty FLESHGOD APOCALYPSE will be gracing our shores on the 19th of May! The Artwork for this event was kindly sponsored by Shellshock Metal Fest, one of the most awesome events on the calendar!